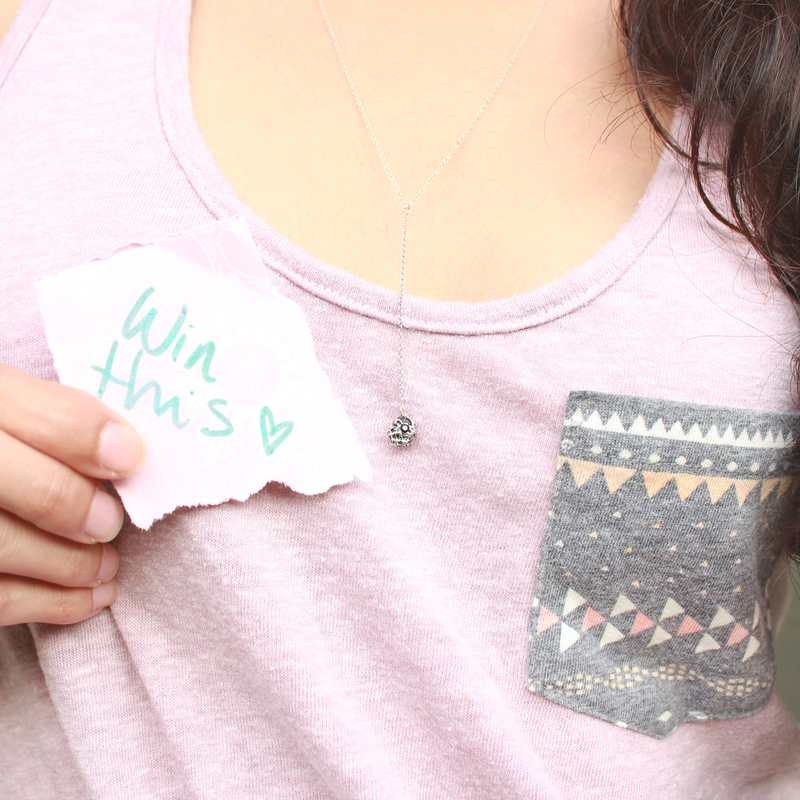 want you to leave a little sweet note in a random place for strangers to see. Something that will make them smile.☺ Follow the photograph rules below, and you can be eligible to win this beautiful handcrafted sterling silver lariat necklace, with a tiny Black Spinel stone. Stick your note up for the world to see. Now, those are just the rules for leaving happiness for someone to find, here are the rules of eligibility to win the prize! 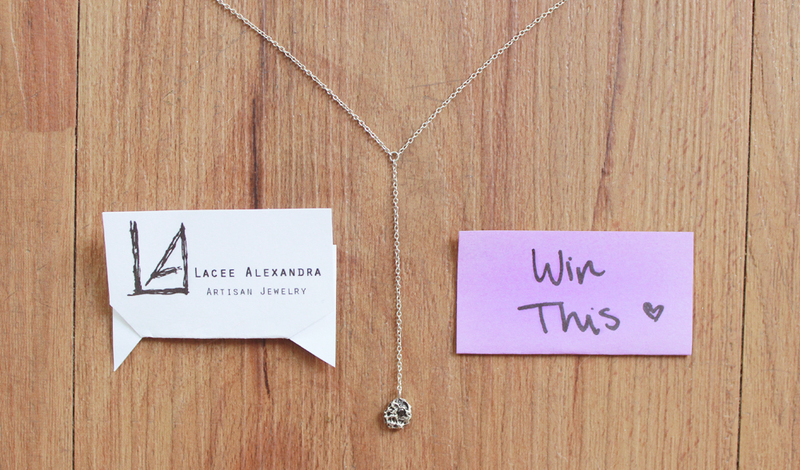 Photograph where you leave your note, post it on Instagram, and use #LaceeAlexandraJewelry for official entry. Since this photo contest is all about random notes of kindness, the winner will be randomly selected from a hat drawing on October 2, 2014 at 8pm (CST). A video of the drawing will be posted on @TheWanderfulSoul.